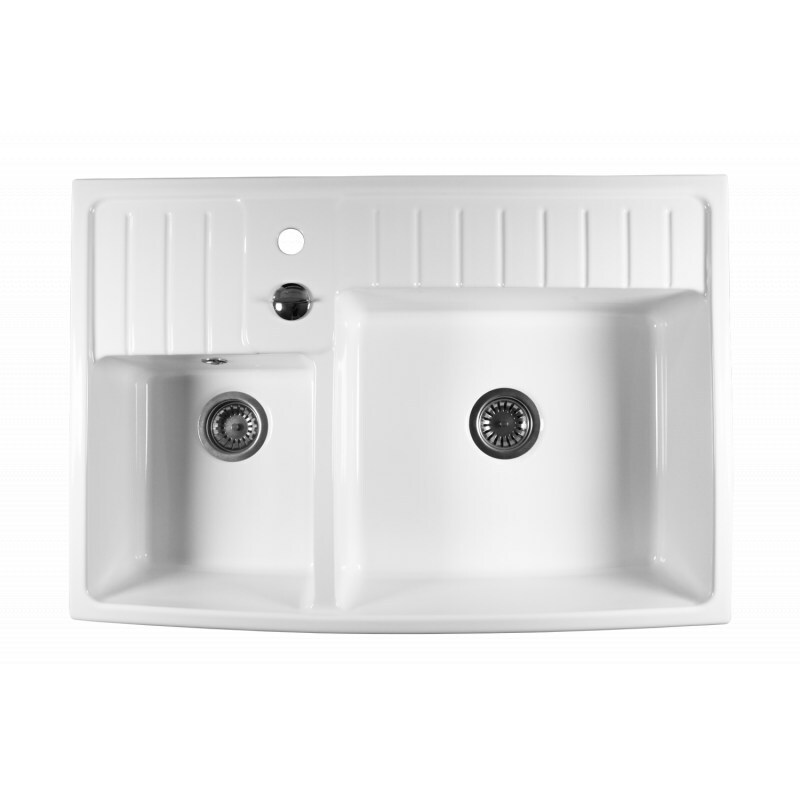 We offer you the Timbre d'Office Baroque White Sarreguemines luxury kitchen sink, a sink with exemplary quality finishes for a very successful design that will go with many interiors. 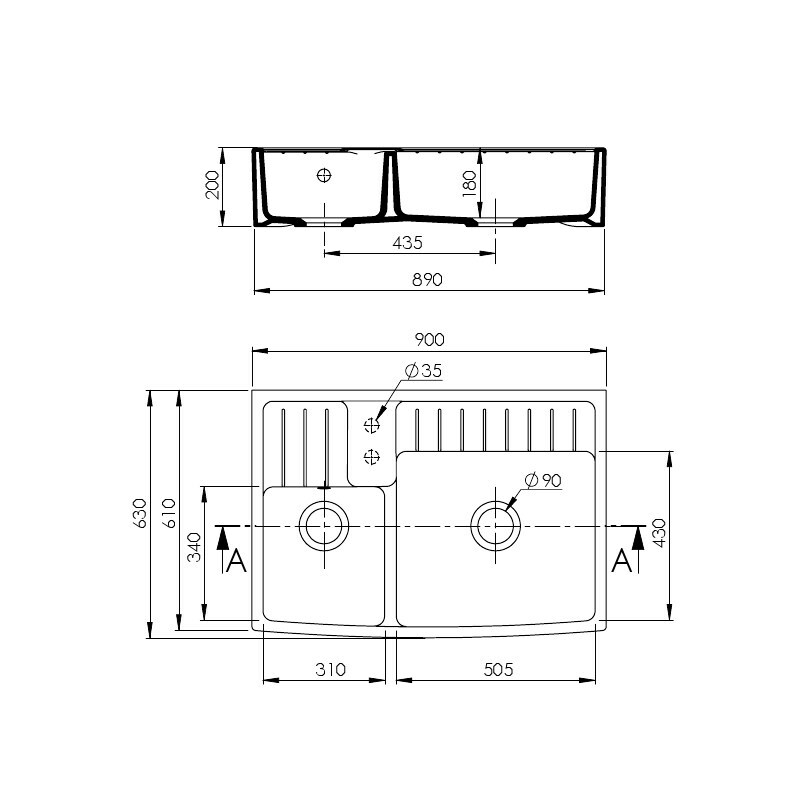 You will also appreciate its two large capacity bins and its easy maintenance. 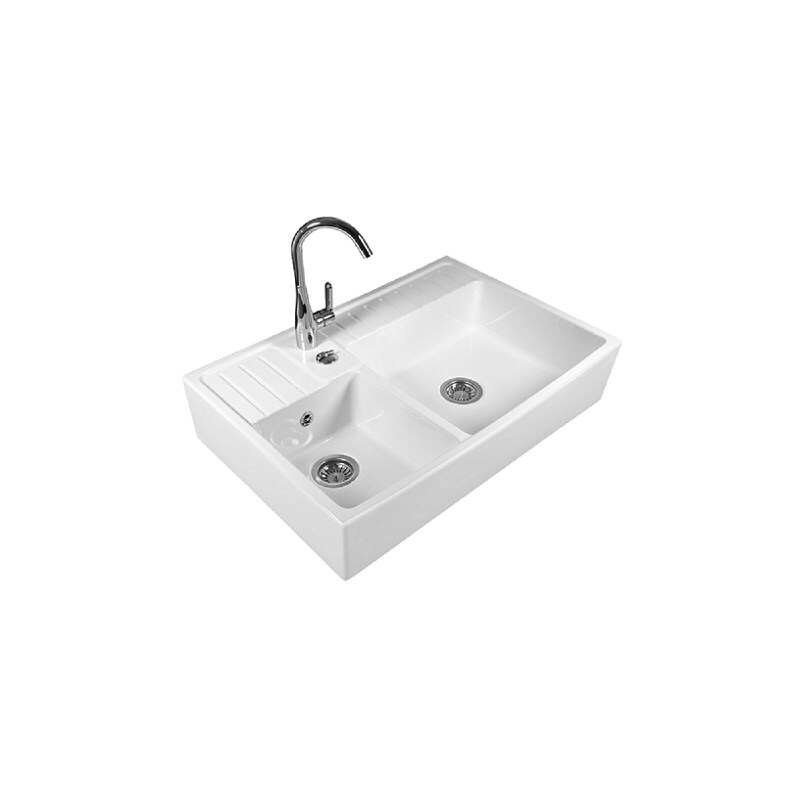 We offer the sink Baroque White Sarreguemines, a luxurious sink produced by the illustrious manufacturer of the same name and stamped Timbre d'Office, for a result whose quality is not to be demonstrated. This sink has two large bins preceded by two small drainers, for an optimal place. It has been manufactured in qualitative ceramic enamel type endurance offering great durability and effective protection against attacks related to time or possible chemicals, but also facilitates its maintenance. 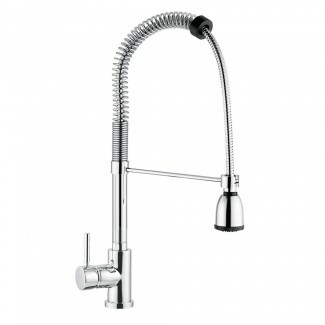 Sold with emptying, taps not provided. 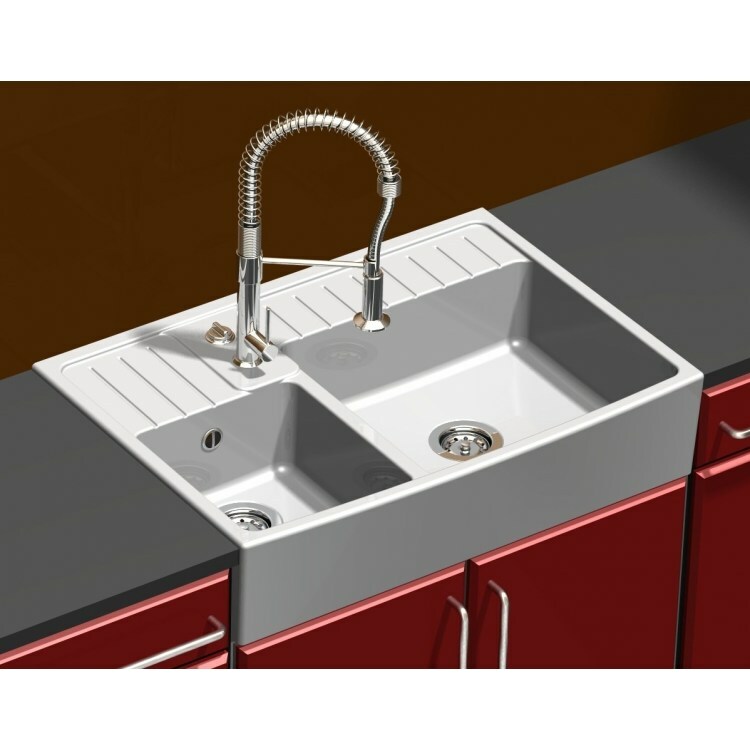 With its dimensions of 900x630x200 mm, this sink is relatively compact and therefore easy to dispose of in your kitchen. In addition, thanks to its highly worked appearance and its white color, it will easily match your interior decoration. It is entirely made of ceramic (fine enamelled end) of first quality, especially chosen for its properties. Indeed, this material is recognized for its great stability, it holds perfectly the effects of time and resists corrosion. You will not have to worry about using your chemicals, its surface does not stain and will retain its original color. Timbre d'Office products are also easy to maintain. The material of the surface is perfectly uniform and will not retain any residual substances to offer you a perfect hygiene. The two large and deep tanks will allow you to have many objects, and both drainers will easily accommodate your silverware. The Timbre d'Office Sinks benefit from the finest materials during their machining, which is done by hand, guaranteeing you a true quality of products. 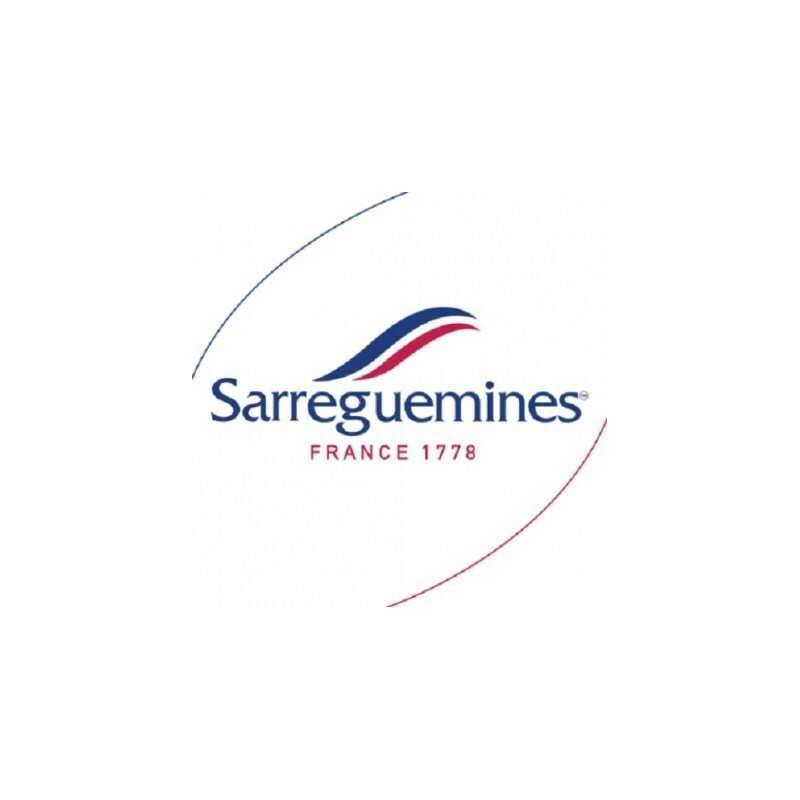 With Sarreguemines lust always rhymes with quality.